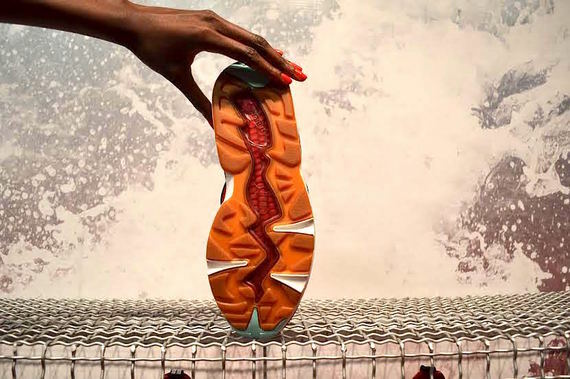 Hailing from Australia, Simon "Woody" Wood, Editor and Founder of Sneaker Freaker Magazine is certainly quite familiar with shark attacks. Surely, a "Bloodbath" collaboration with PUMA and Packer Shoes was not too far-fetched. 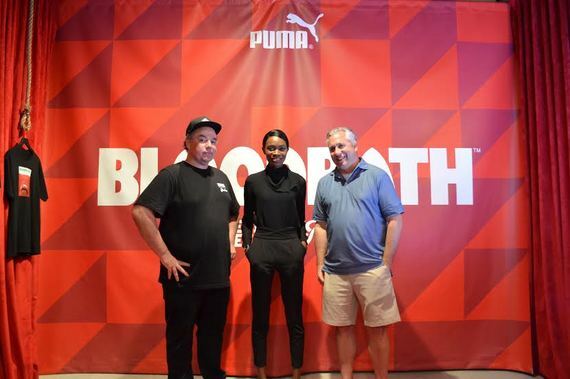 Ahead of New York Fashion week, the trio unleashed The Blaze Of Glory 'Bloodbath' sneaker September 2 at The Refinery Hotel. 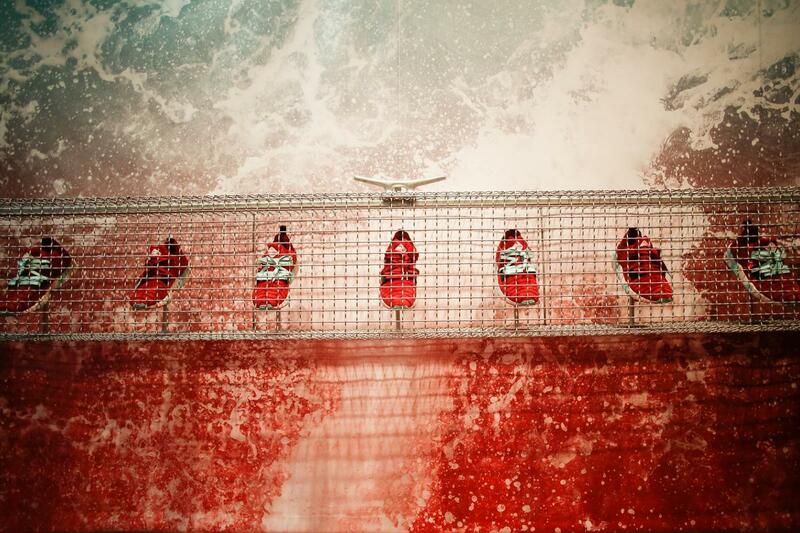 As a branding professional, I definitely appreciate consistency: red walls, velvet curtains and of course shoes, the venue perfectly conveyed the sanguine shark-theme. "Kicking it" with Simon "Woody" Wood, Sneaker Freaker Magazine Founder and Editor (left) and Mike Packer of Packer Shoes (right) before our interview. 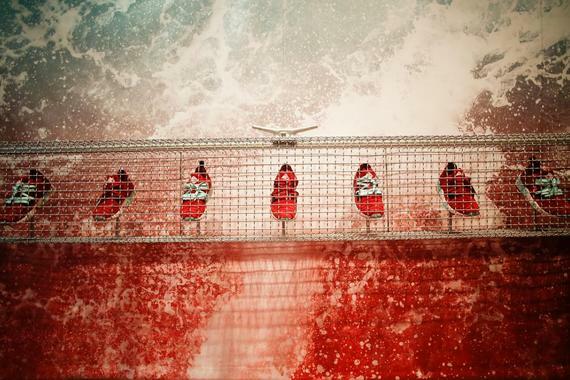 The Blaze Of Glory 'Bloodbath' kicks were showcased in a shark cage against a backdrop of bloody crashing ocean waves. Co-branding is all the rage these days but rarely do three major players of the sneaker world collaborate. So how did this come about ? 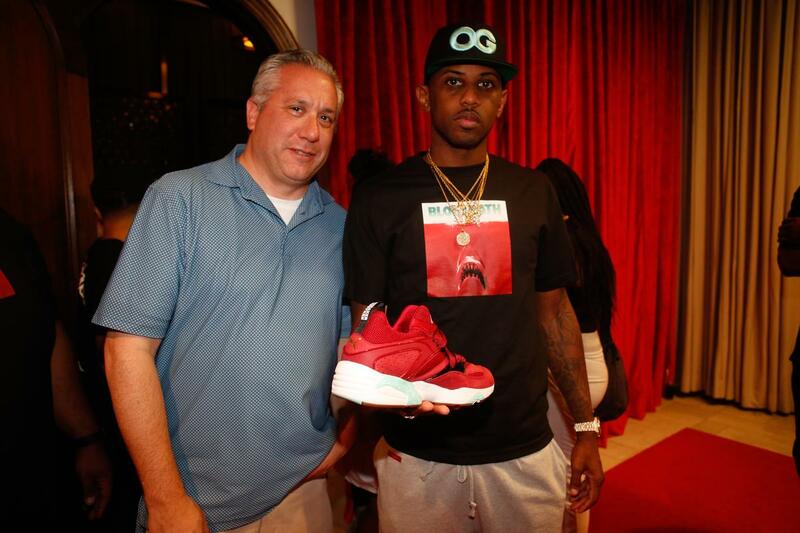 Industry insiders and celebrities such as rapper Fabulous pictured above with Mike Packer attended the exclusive preview. Guests mingle at the PUMA 'Bloodbath' capsule launch in New York City. Michael "Mikey" Cole brought flavor to the event with custom "Bloodbath" ice cream: a yummy blend of red velvet cake, chocolate swirl and mint mirroring the colors of the shoe sole. 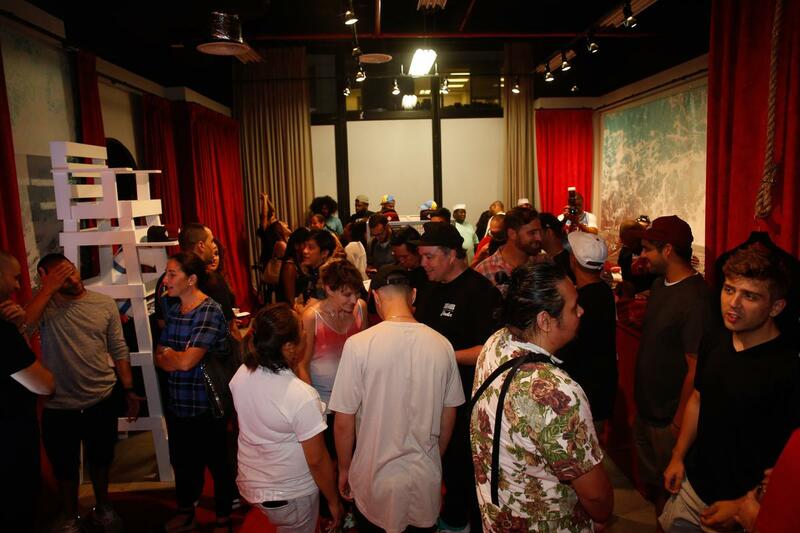 We constantly keep our eyes on what pop culture is doing to channel inspiration for our products. Whether with looks, drinks or ice cream, the sneaker nation is all about being fresh. - Cole said. 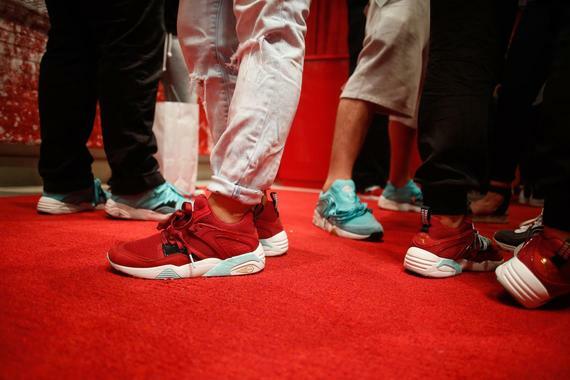 Retailing for $170, the shoe is unisex and available worldwide in limited edition. Can't get your hands on it ? Do not see red! 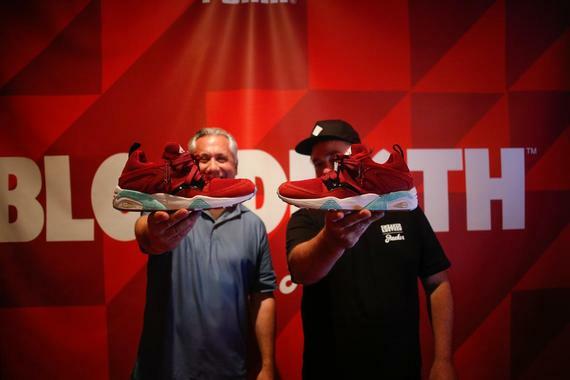 Head over to Mikey Likes It in the East Village for a taste of PUMA's "Bloodbath" custom ice cream. Very special thanks to Tamas Szabev photography.